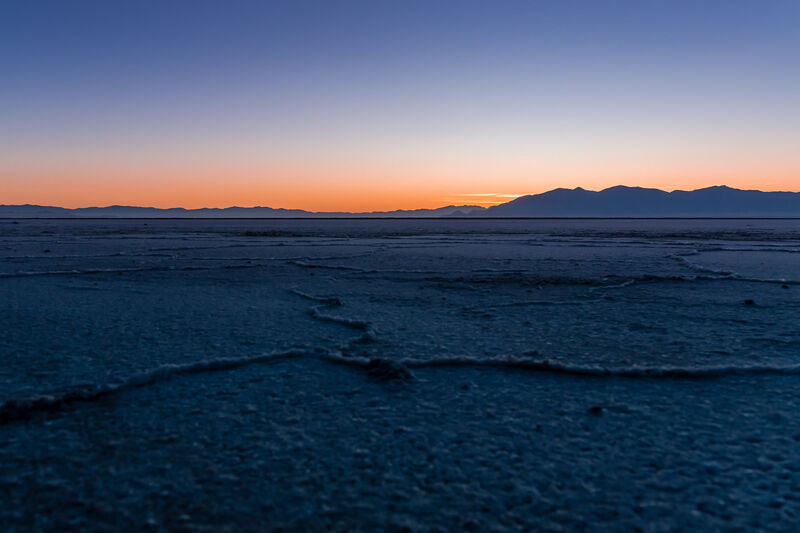 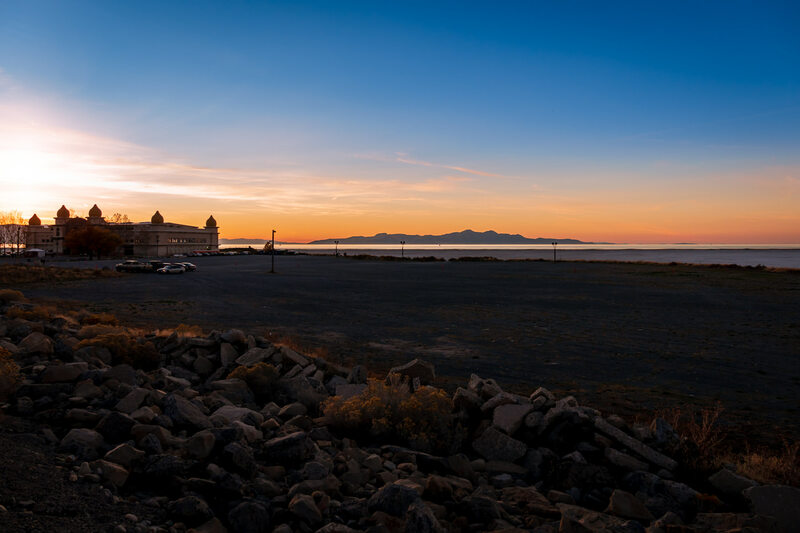 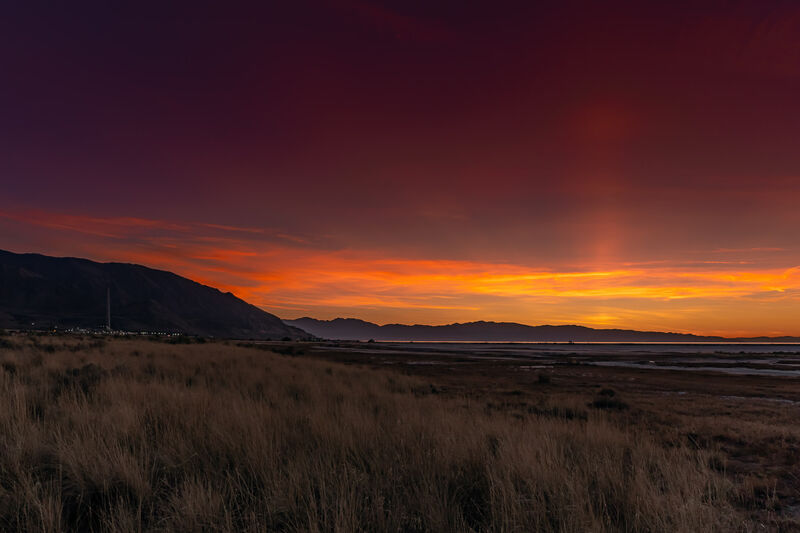 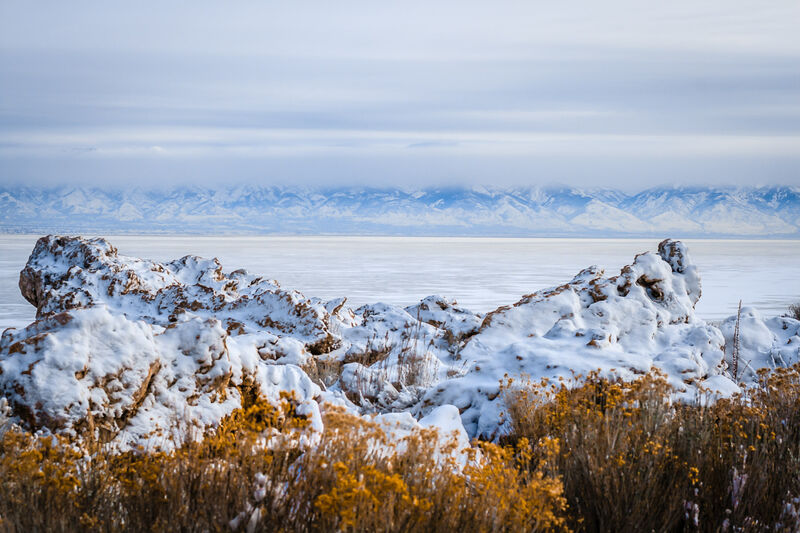 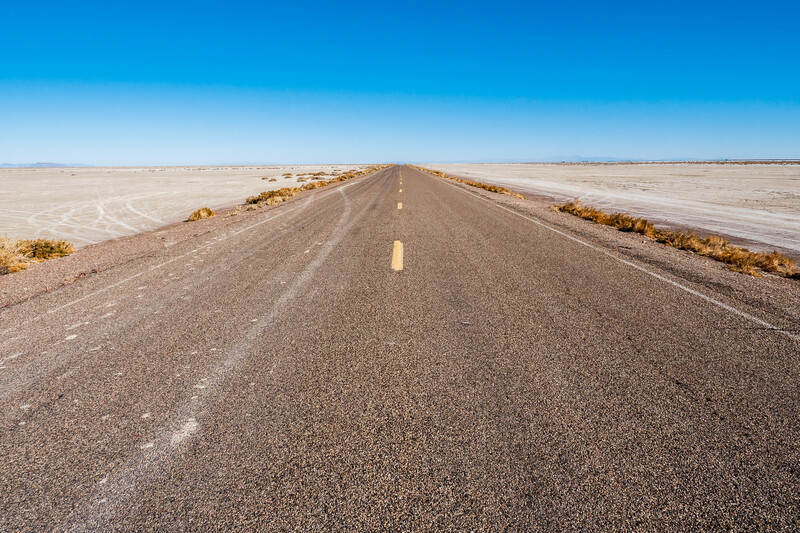 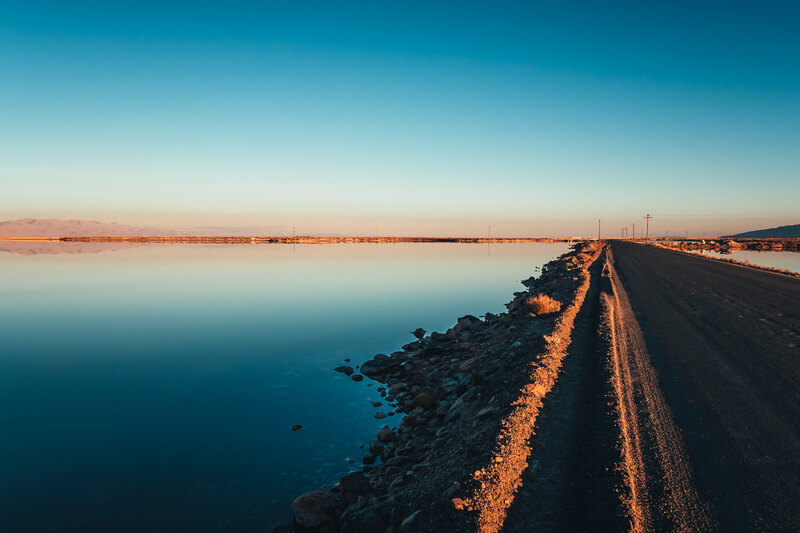 A road stretches across the arid expanse of Utah’s Bonneville Salt Flats. 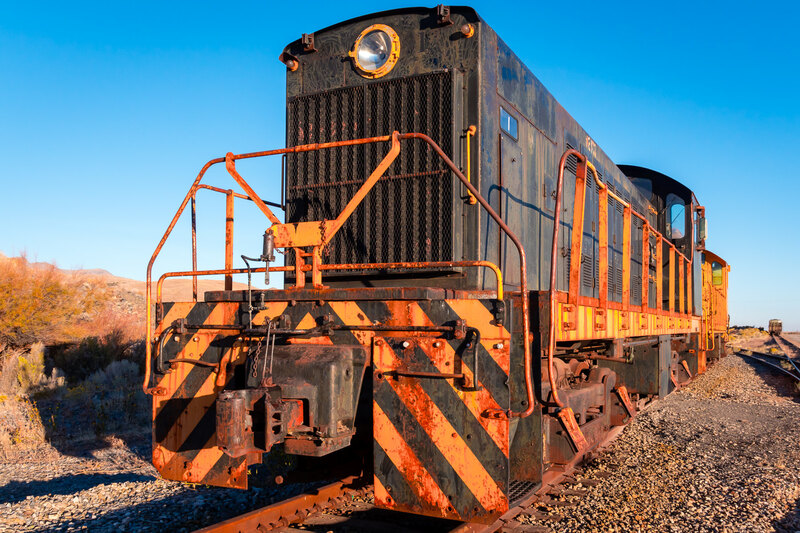 A train engine sits abandoned in the desert near Magna, Utah. 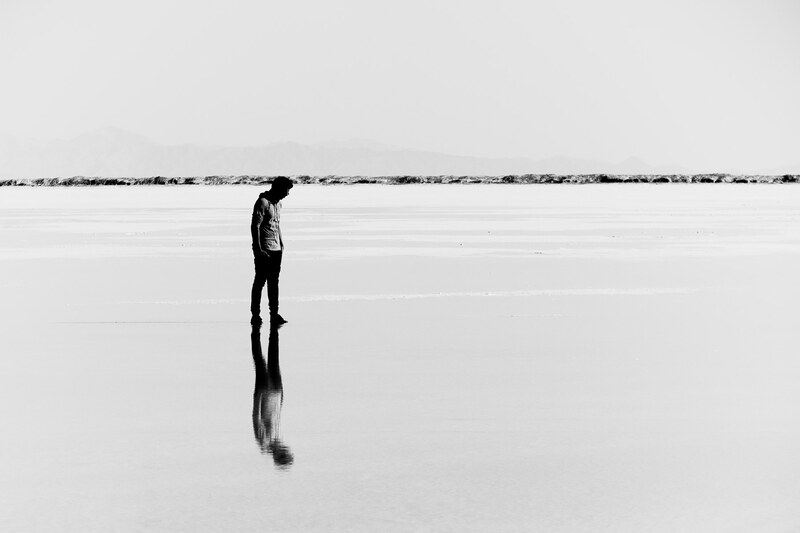 A visitor to Utah’s Bonneville Salt Flats is reflected in a sheen of water atop the barren plain.